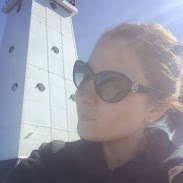 Lately I have been trying out a variety of different workout classes and recently went to a hot yoga class. Afterwards they had a variety of detox/ spa water available. I have made spa water before, but never thought about adding cucumber and the addition has some fabulous benefits as well. 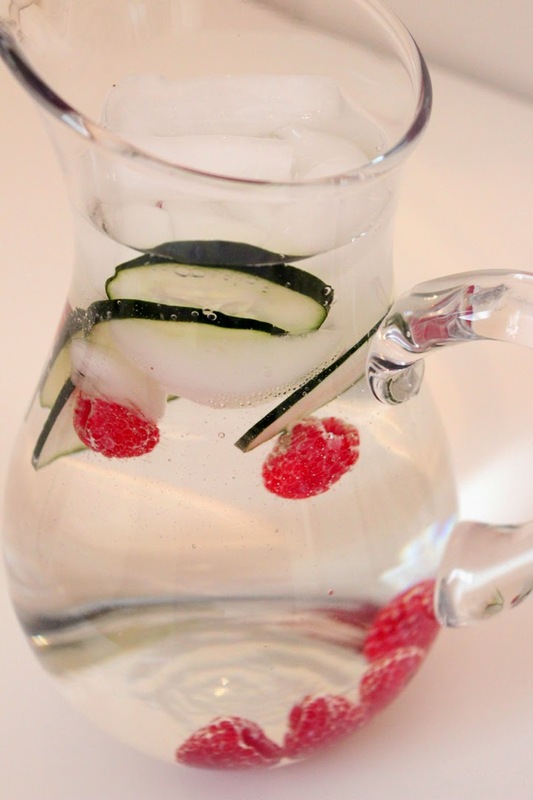 Not to mention the addition of fruit or cucumber to water adds a fabulous taste and helps you stay hydrated. Fortune & Frame is a New York City-base line of jewelry, frames and other things that hold fortunes. The pieces are light hearted, and come with an original fortune. I was thrilled when I was offered the opportunity to partner with Fortune & Frame to bring you a fabulous Mother’s Day giveaway. Fortune & Frame is a New York City-based line of jewelry, frames, and other things that hold fortunes. Founded by designer Gretel Going, the original concept came about two years ago when she came across an insightful fortune, shoved it behind a refrigerator magnet, and forgot about it. When the fortune kept falling on the floor, an idea was born. The resulting line relies on jewelry and accessories to bridge the gap between the value people place on fortunes and the lack of dedicated places to keep them. The 2014 launch collection, On the Mend, summons all things rustic, broken, and put back together again. Its heavy use of bandages, broken edges, and jagged and hammered textures is a nod to the torturous and solitary aspects of getting-better—a process with which fortunes have become synonymous. All signature fortune-holding and fortune cookie pieces come with an original fortune. Written by Going, the fortunes shy away from the prophetic and arbitrarily optimistic, and instead focus on the intersection of hardship and light at the end of the tunnel. Each piece in the Fortune & Frame line—from idea to sketch, wax to mold, casting, assembly, and finish—is handcrafted in Manhattan by a team of people who consistently give a damn. Jack's feet get ridiculously dirty in the spring, especially after multiple rainy days. So I came up with a quick and easy solution - The Mud Mitt. 1. 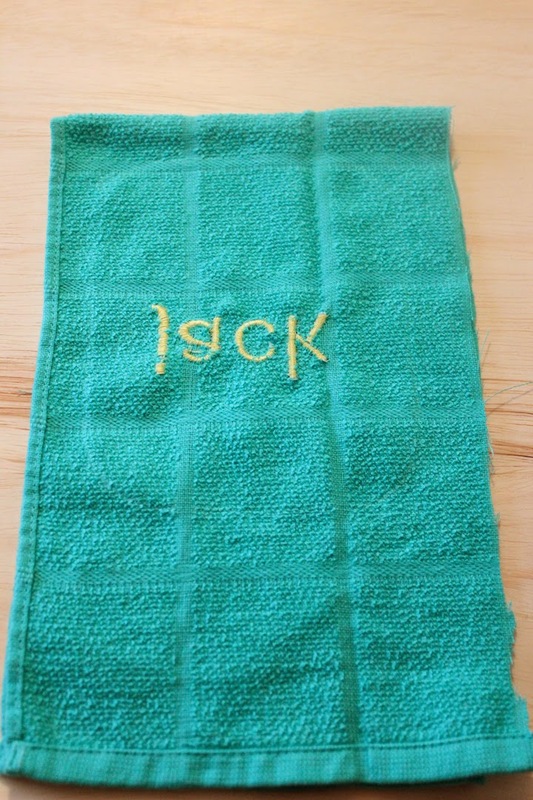 Take your towel and fold it in half "hamburger style". 4. Stitch along the long open side. 6. 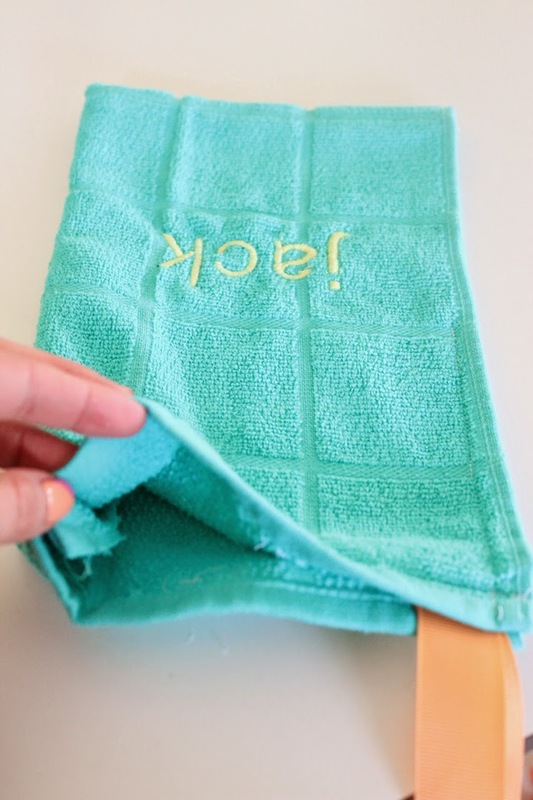 Cut a length of ribbon that will fit around where you want to hang it (make sure its a loop). 7. Sew the ribbon in place, stitching along the open side a few inches. 8. Sew along the other open side a few inches. 9. That's it! You have the perfect mud mitten for keeping your pups paws clean! 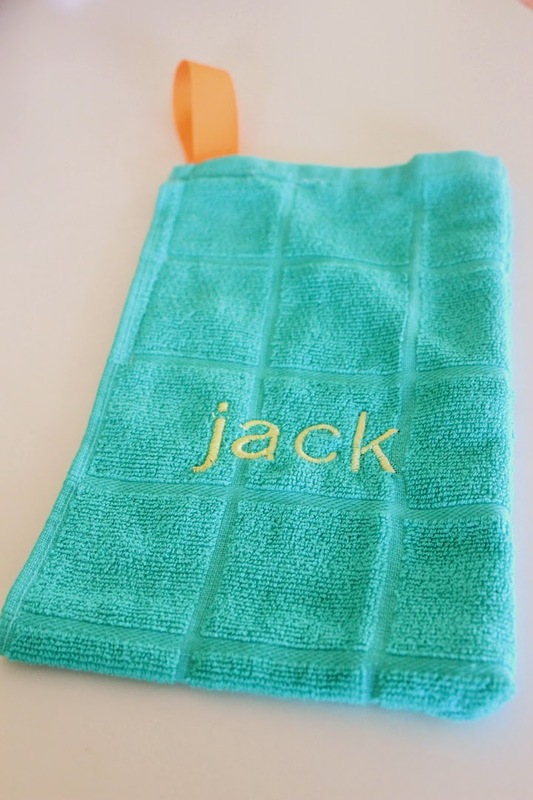 Note: I embroidered Jack's name onto the towel before sewing. I attended a garden party this weekend and one of the desserts was grape salad. It was so good I got the recipe and made it for Easter and now it's easily become my favorite go-to dessert. Definitely would make a good summer bbq dessert. 2. In a large bowl, mix together cream cheese, sour cream, white sugar and vanilla. 3. Add grapes, mix until incorporated. 4. Sprinkle with the brown sugar. 5. Top the brown sugar with the chopped nuts of your choice. 6. Refrigerate until ready to serve – I like to make it the night before I’ll serve it. 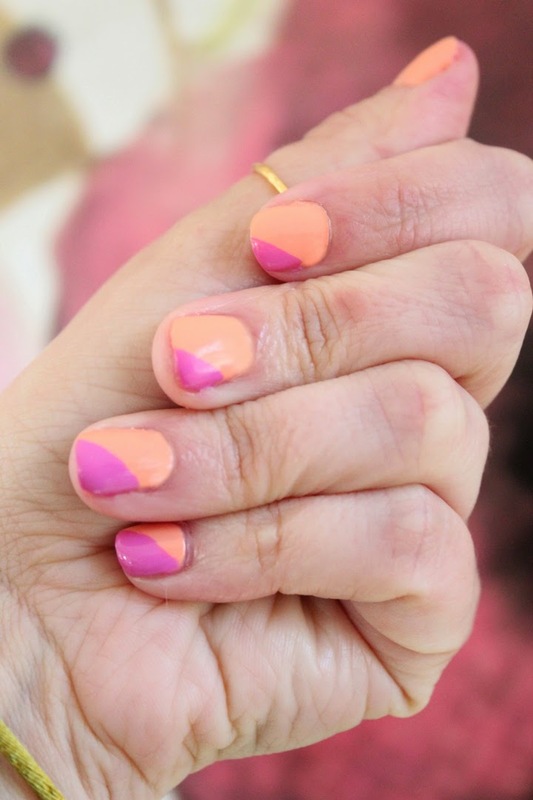 The diagonal french manicure is a chic and fun look that is so simple to create. I polished on a base coat, followed by two coats of Zoya 'Cole', then swiped on a diagonal coat of Jessica Cosmetics 'Ocean Bloom' and lastly a top coat. It's a simple and chic look perfect for spring. When gray and wet days arose in college I always headed to my favorite little café where I would get a cup of homemade soup. 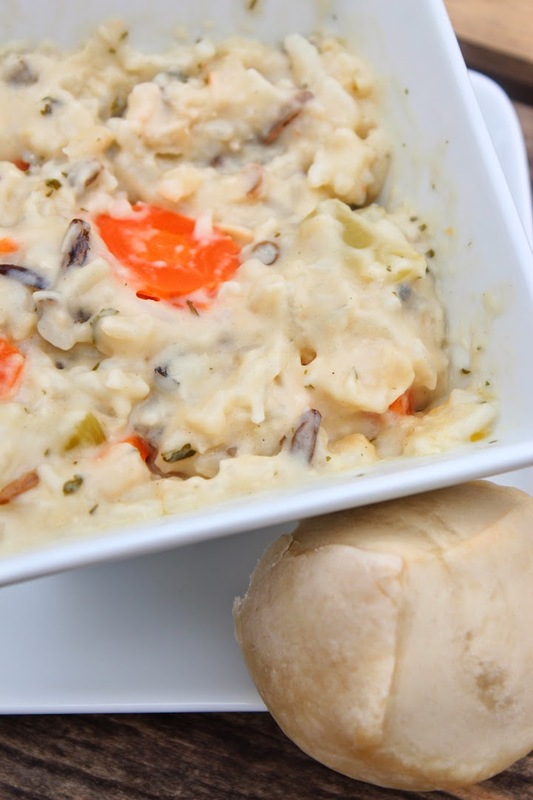 Sunday was one of those painfully dreary days that just begged for that hearty soup for dinner. I decided to make one of my favorites Creamy Chicken and Wild Rice, it was the perfect way to end the weekend. 1. Melt the butter in a large pot over medium heat. 2. Stir in the onion, celery and carrots; sauté for 7 minutes. 3. Add flour and stir well. 4. Over medium heat, gradually pour in the chicken broth, stirring constantly. 5. Bring the soup just to a boil and then reduce heat and let simmer for 7 minutes, stirring continuously until thickened slightly. 6. Add chicken, rice and desired seasoning. 7. All the ingredients to heat through. 8. Pour in the half-and half. 9. Let the soup gently summer for about an hour, stirring occasionally to prevent sticking. The soup should not boil but should simmer over low heat so that it thickens slowly. 2. In a large pot over low heat melt the butter. 3. Add marshmallows and stir until melted. 5. Stir in krispie cereal and cookies until coated in the marshmallow mixture. 6. Press firmly into the pan. Giveaway: Four Black Paws "Swag Bag"